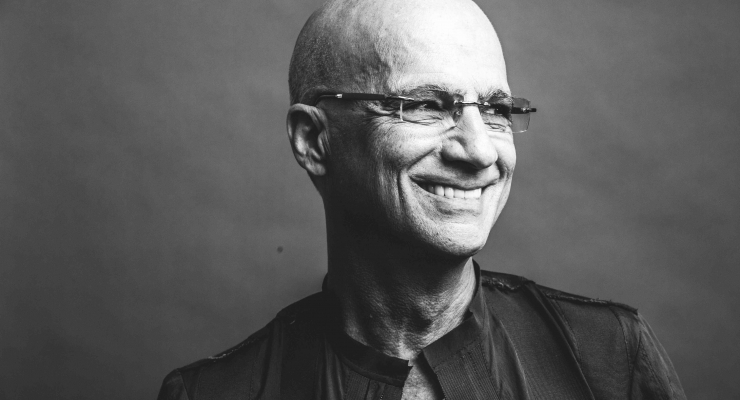 The Defiant Ones is a four-part HBO documentary miniseries from director Allen Hughes (Menace II Society, Dead Presidents) that documents the unlikely friendship and partnership between hip-hop producer, artist, and business person Dr. Dre and rock producer, engineer, and business person Jimmy Iovine. The former first made his name in rap group N.W.A with such controversial tracks as “F**k the Police” and the latter cut his teeth engineering albums for John Lennon and Bruce Springsteen before eventually moving on to produce and then form his own label Interscope. Hughes’ miniseries goes all the way back to each subject’s childhood and brings in relatives such as Dr. Dre’s mother or Iovine’s sister to get a broad picture of what drove them to create and become the people they would become. While The Defiant Ones is effective and weaving their stories together, for the most part it tells them on different tracks, often shifting perspectives between the harsh world of Compton and the less gritty world of Iovine’s Italian-American upbringing in New York. This is the tack maintained throughout, even as we get to more contemporary times such as the merger of Time-Warner and Turner, Dre leaving the chaos and violence of his original label Death Row with co-owner Suge Knight to join up with Iovine’s newly empowered Interscope, forming Aftermath. 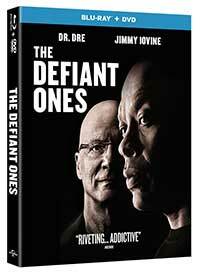 The Defiant Ones’ climax is in the formation of Beats by Dre and its eventual acquisition by Apple, but while that is certainly a high note, the documentary is not shy about exposing all the lows, in particular the run-ins with the law that Dr. Dre, his hip-hop band mates and colleagues such as Snoop Dogg and Suge Knight had over the years, and other controversies with artists such as Marilyn Manson o the entire East Coast/West Coast hip-hop feud that defined 1990s pop music. While much of this material is hardly new the way Hughes lays it all out is interesting and worthy of a ‘rockumentary’ and we can tell we are dealing with the pop/rock elite here by the sheer number of who’s whos that appear in the interviews for this documentary, including the late Tom Petty, Stevie Nicks, Bruce Springsteen, Ice Cube, Bruce Springsteen, Trent Reznor, Bono, Eminem, Snoop Dogg, and more. The Defiant Ones was shot on Canon C100 and Canon C500 cameras as well as mixing in archival footage and photos going all he way back to the 1960s and older. The miniseries arrives on Blu-ray in a satisfying AVC 1080p encodement from Universal that is often crisp, sometimes layered with artificial grain for a gritty look and is done in both black and white and color. The biggest flaw are some areas where color banding can be seen especially in backgrounds like the blue skies. The Defiant Ones on Blu-ray comes with a lossless DTS-HD Master Audio 5.1 mix that is excellent for a documentary series. The dialogue is full and clear, but it’s the music and sound effects that are really outstanding. The bumpin’ low end of the hip-hop and the raw guitars of the rock tunes, the spaciousness and dynamics are all excellent. There are some moments where gunshots and sirens are hard panned through the room as well. It’s well done and well balanced. This release comes with zip, zilch, nada, nothin’ not even a digital copy only the standard DVDs of the miniseries are included along with the Blu-rays. The Defiant Ones is a documentary that is not to be missed if you haven’t been living under a rock for the past forty years. These two men have been at the epicenter of the pop culture for decades and this documentary gives just a bit of insight into the how and why. This four-part mini-series from director Allen Hughes (Menace II Society) chronicles the unlikely friendship and business partnership of hip-hop legend Dr. Dre and legendary producer and engineer Jimmy Iovine. It's at times gritty and other times heartfelt, but always truthful and slickly filmed.